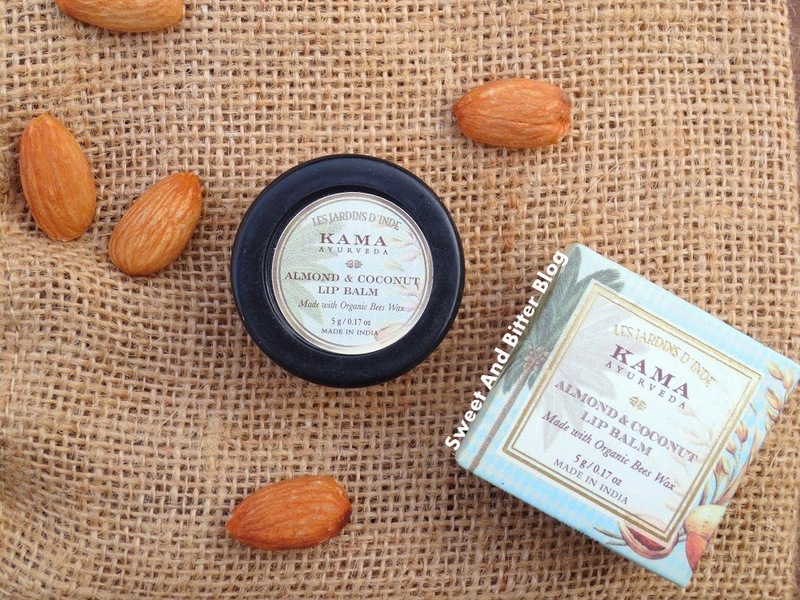 My views – The texture of Kama lip balm sold but melts to oil when it touches lips. 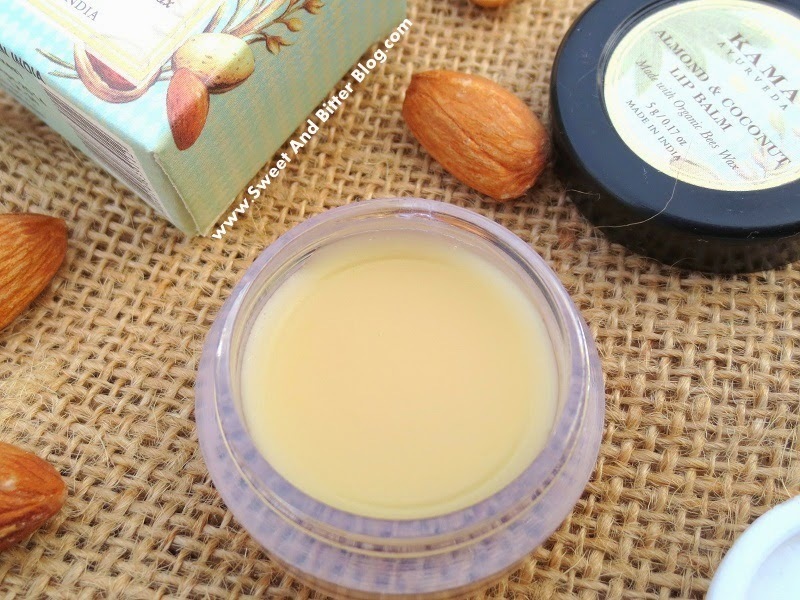 It absorbs in some time and does not look too glossy like other mineral oil based lip balms. It protects lips. 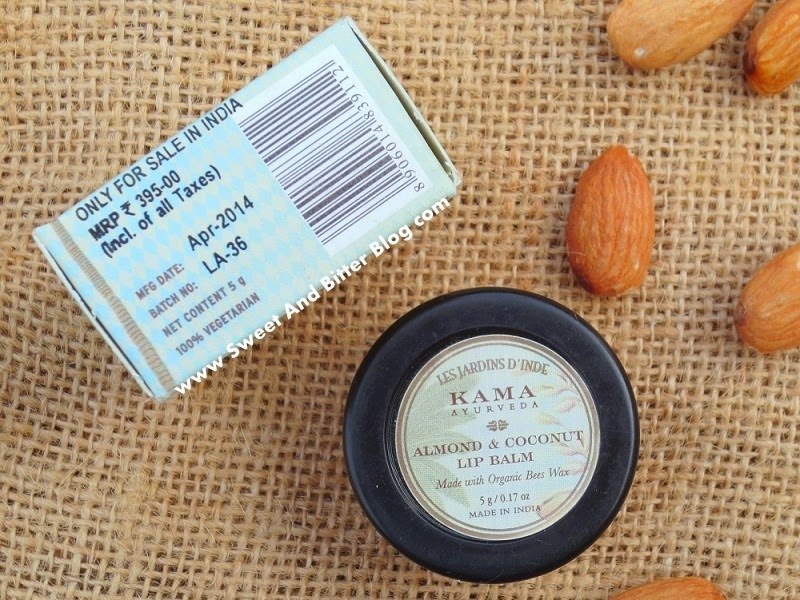 The balm does not feel heavy and can be worn under a lipstick. 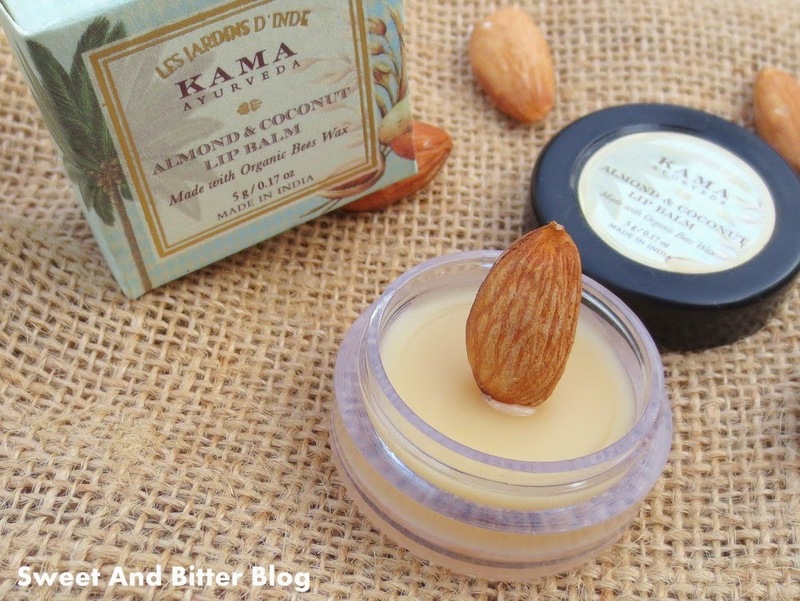 Kama lip balm helps a lot with chapped lips. But, if you have a very bad case of chapped lips then it might not help. Another thing that I noticed within 4-5 days of using it is that my lips looks a lot pink. It surely is a sign that it is working for me. Also, the smell is so nice that I apply it way too many times. 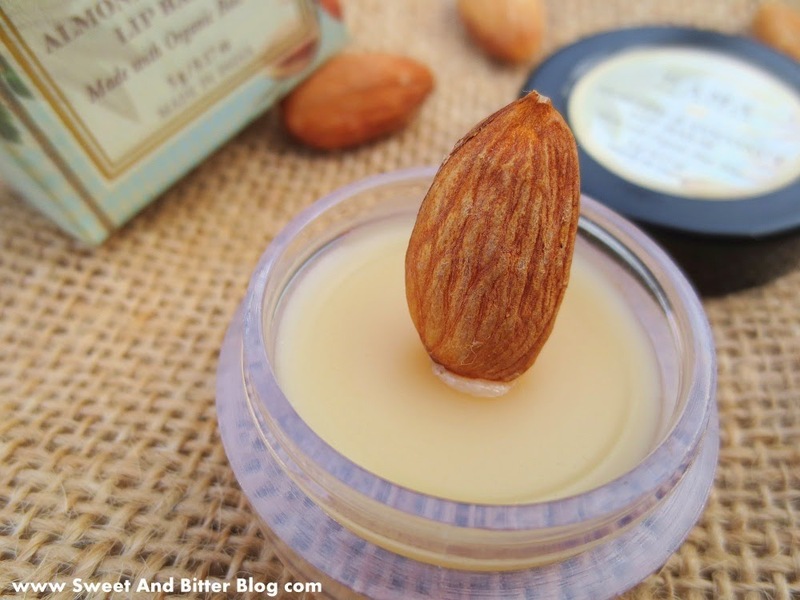 Smell – Roasted almond. Think - creamiest roasted almond ice cream! It smells super yum. Good that it does not smells too sweet or overpowering. Sadly, the smell is because of added almond and coconut flavor. Ingredients – I loved the ingredients list of this - very simple and goody-goody. Organic sweet almond oil, organic castor oil, wheat germ oil, organic bees wax, cocoa butter, almond and coconut flavor, organic coconut oil. Packaging – The tub packaging is no doubt unhygienic. I pick a little from the back of my nail to avoid it to get into my nails. Actually, I find lip balms in tubs better than sticks because I do not need to directly touch it with my lips everytime. It also comes with a protective covering. I have removed it now as it gets quite handful – the tub, the lid and again a covering – I only have two hands!! Price – Rs 395 for 5g. Overall – I love it in every single way. 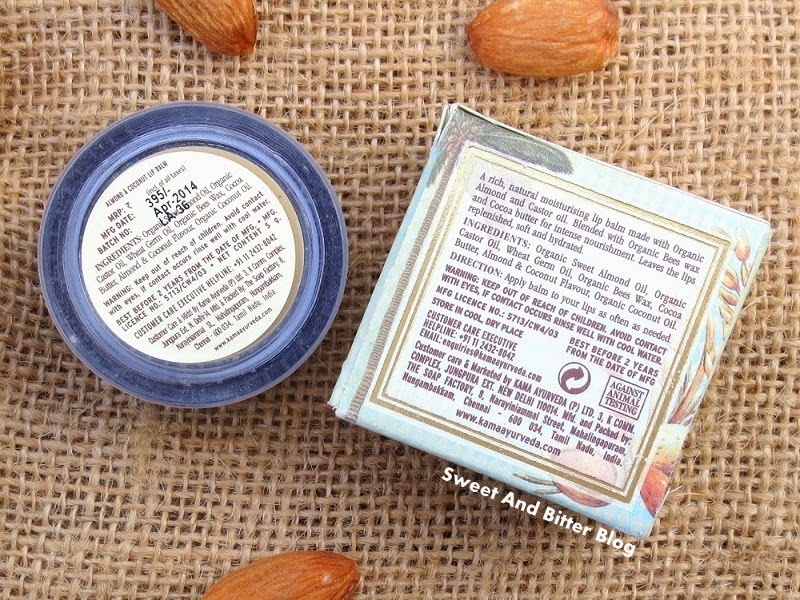 I love the texture, I love that the lip balm is not super glossy, I love certainly love the smell. Price wise it is really high but I won’t complain because of the perfect ingredients – natural and organic!